A red koi moves lazily. Slowly float to block my view. Oh, Mr. Koi, where are you? Sending ripples in the pond. Ah, how cool my toes. Nips my toe and disappears. —by author Frances Kakugawa, from Wordsworth! Stop the Bulldozer! 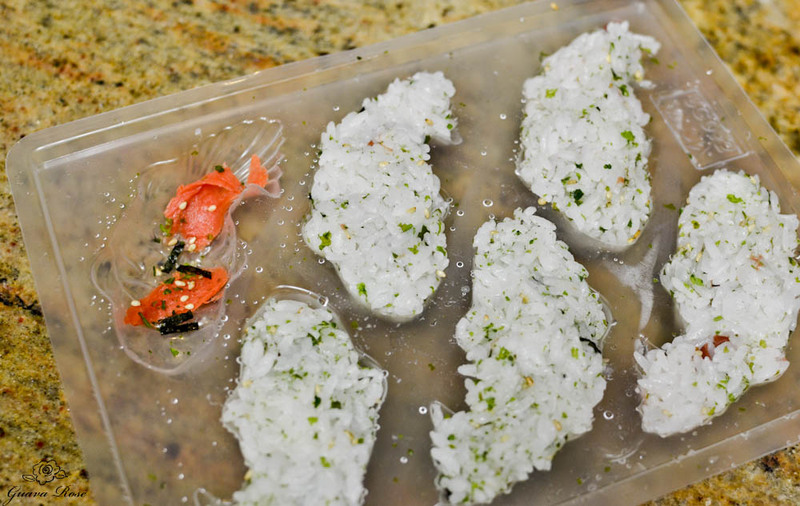 Pack the rice tightly into the molds so your koi musubi don’t fall apart. If you don’t have any fish molds, regular rectangular nigiri molds work well too. Rinse koi fish mold with cool water. Place small pieces of smoked salmon or ume on the bottom of each fish mold. Sprinkle a little furikake over the empty areas. These will make the colored areas on the koi fish. Sprinkle some furikake lightly over the cooked rice. Gently mix in with a rice paddle. Taste the rice; if you like more furikake, add more and mix in, but remember the smoked salmon and the ume will be salty too, so don't add too much. Fill each fish mold with rice. Cover the top of the mold with a piece of plastic wrap and press the rice firmly down into each fish. Add more rice and repeat until each fish mold is tightly packed with rice. Flip the mold over onto a plate or chopping board. Lift the mold up a little and tap it against the plate until the fish pop out. Arrange the koi musubi onto a serving platter. 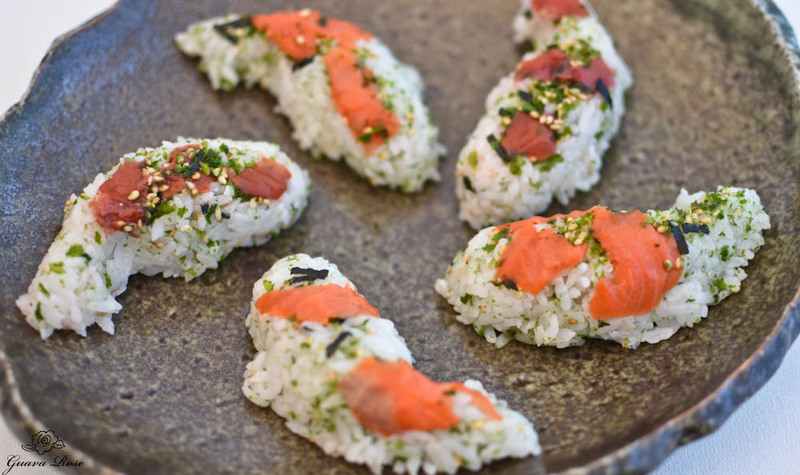 You can sprinkle a little more furikake to decorate the fish tops if you want. Eat them right away, or cover the fish tightly with plastic wrap. Store them in the refrigerator. When you are ready, take the musubi out of the refrigerator and let them warm back up to room temperature. These are best eaten the same day you make them.